Kieran Roberts is Director of The No Barriers Foundation and co-ordinates our projects in Bangladesh. This is his summary of our work in Bangladesh in 2017. Over 100,000 homes are estimated to be ruined and over 8 million people have been affected. Education remains a problem in Bangladesh, a problem only compounded by these events. Although there are challenges, Bangladesh has made remarkable gains over the past two decades by ensuring access to education, especially at the primary level and for girls. The country’s net enrollment rate at the primary school level increased from 80 percent in 2000 to 98 percent in 2015, but secondary school net enrollment is still only around 54 percent, up from 45 percent in 2000. 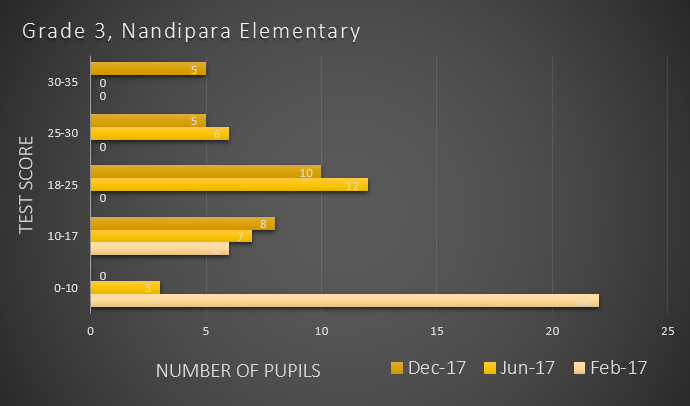 The percentage of children completing primary school is close to 80 percent which shows there is still a lot of work to be done. It’s easy to look at statistics, particularly 98% enrollment at primary, and become complacent. Is the problem solved if children are staying in primary school? Is the teaching effective enough to equip them with the skills they will need in later life? National learning assessments conducted by the Government of Bangladesh show poor literacy and numeracy skills among students – only 25 percent to 44 percent of the students in grades 5 through 8 have mastery over Bangla, English and maths, and performance on these measures is especially low among poor students. Our partners in Bangladesh are a locally based education charity called Agami. Agami is made up of ambitious, talented teachers and their schools are filled with enthusiastic children who are eager to learn. We have worked together on our ‘Ready to Read’ initiative which has been piloted by our outstanding teacher, Israt Sharmin. Most of the pupils we work with live in inner city slums around Dhaka but through 2017 we have been improving their education and opportunities on a daily basis. Whilst we have delivered the Bangladesh curriculum, we have not just used the traditional, worn text books. We have devised new resources to engage the children and we have introduced a host of new games which teach vocabulary in a more exciting way. Internet access has been installed in our pilot school allowing the teachers to show the children videos and images; we are all visual learners so the importance of this cannot be overstated. This has also allowed us to teach the children new songs to embed certain phrases in English. When the issue of education in developing countries is discussed, it’s usually in terms of statistics and national trends and the figures are vast. In doing so, it’s easy to forget the individuals behind the numbers and their own unique circumstances. We haven’t done that in Bangladesh. Like in any class, children attain knowledge at a different rate and their personal circumstances have an enormous impact on this. 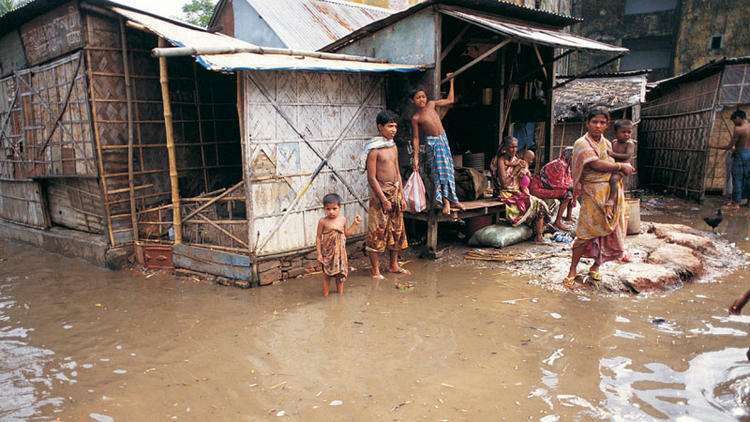 For children living in slums, sometimes they may not have access to clean drinking water. If a frail bamboo bridge collapses because of heavy rain, they don’t have access to school for days, maybe weeks. That’s why for any children falling behind we have ran after school ‘booster’ classes to review any topics or deliver more personalised teaching. The children aren’t statistics; they’re individuals who have been born with fewer opportunities than most but we will continue to do everything we can to make up for it. I have absolutely no doubt that every child in the slums around Dhaka has dreams and ambitions which stretch beyond what life has granted them so far. Not all of those children go to school yet (we’re working on it) but for the ones that do, those dreams become more attainable. 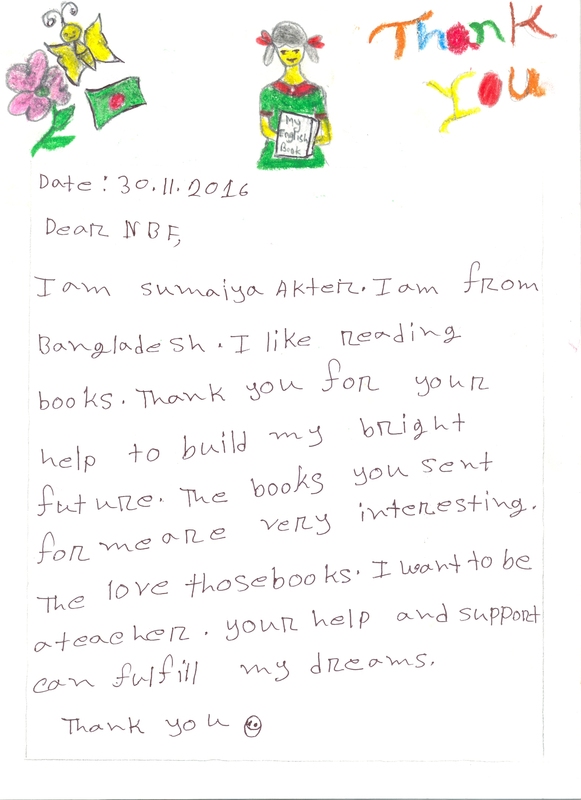 Sumalya, one of the students in our partner schools, wanted to write a letter to us to say thank you for the books her school received from The No Barriers Foundation. Sumalya wants to be a teacher and her education has made her believe that her future is bright. Sumalya, we agree.